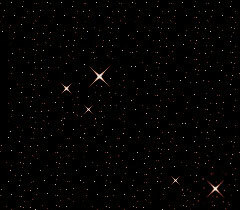 Starfire Designs, Inc. in the Princess Shopping Center has been serving Carroll County Maryland in the Eldersburg / Sykesville area since 1992. 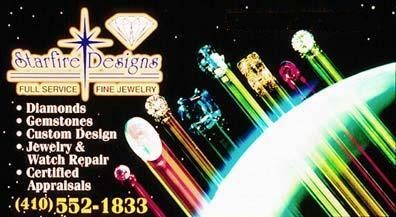 Janet has over 20 years experience designing and manufacturing fine jewelry. You will really see the difference this experience makes as Janet and her expert staff offer detailed and personalized attention to custom designs, jewelry and watch repairs, and certified appraisals (all done on the premises by expert jewelers). The showroom at Starfire Designs has a tremendous selection of fine jewelry, diamonds, loose gemstones, wedding bands, engagement rings and one of a kind pieces. If you have dreamed of a special piece, the friendly and knowledgeable staff can design it for you and make your dreams come true. Janet began by designing custom jewelry in her home, but as her list of satisfied customers continued to grow, so did her need for space. Janet and her staff have managed to maintain a large following of regular customers throughout the years, many of which have been with her since she worked from her home. The reasons for this are simple; quality products, friendly service, and fair pricing. Honeymoon, anniversary or special occasion? 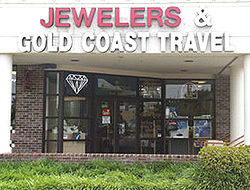 While you are browsing the selection at Starfire Designs, let the experts at Prime Time Travel (formerly Gold Coast Travel in Eldersburg), a full service travel agency (located inside the store) make all the arrangements for your perfect trip. Where else can you purchase your engagement ring and wedding bands, then book your honeymoon? Starfire Designs call them "Magical" and before your very own eyes, you can watch your existing jewelry transform into dazzling designs you'll love to wear! Discover their beautiful designer lines of fine jewelry in 14K gold, 18K gold, and precious platinum, styled for every budget, every taste, from dainty to daring. From sparkling diamonds that capture all the fire and passion of your love, to magnificent gemstones in every delightful color of the rainbow including sapphires, rubies, emeralds and more. Starfire Designs is a full service fine jewelry store, where customer service, craftsmanship, quality, and value are served to you at the very best price. Starfire Designs Inc presents exclusive martial arts medallions crafted in 14-Karat Solid Gold and Sterling Silver. 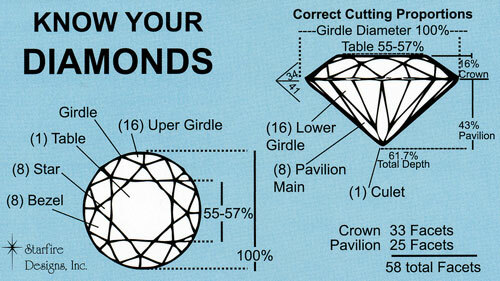 Custom ring designs, logos and organizational awards are also available. 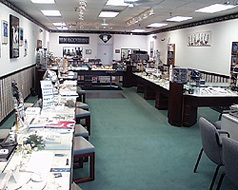 All exclusive martial arts fine jewelry is handcrafted in 14 Karat solid gold and sterling silver. White gold available upon request. Please allow 3-4 weeks for delivery. Rush delivery available; please call for details. Credit cards are accepted only by clicking the "add to cart" buttons under each item. If you wish to pay by check or money order, please call us for details. Starfire Designs also has a great selection of new watches, pocket watches and watch bands including: Rolex, Omega, Raymond Weil, Tag Heuer, Muvado, Sharp, Citizen and Seiko.